Strava's brand positioning is based around challenging and comparing yourself to others through virtual competitions and leaderboards. I am not against the competitive spirit in principle, but my personal experience is that most psychologically and physiologically rewarding training comes from comparing your own past performances to today or from setting long term goals. I accordingly use the service as a glorified training diary, with the public leaderboards serving only as curiosa or as an occasional check on hubris. I've found it curious—but not altogether surprising—how this mere change of default dramatically affects one's mindset. Source code is available. 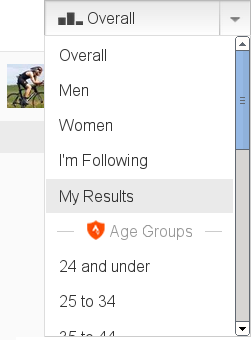 If you found this Strava extension useful, you might like my extensions to quickly switch between metric and imperial units or to estimate your running TSS score. Feb. 2, 2014, 5:50 p.m.
Aug. 1, 2017, 12:45 p.m.